Thanks to the crew at ZDNet for this great article that really helps me to sum up my feeling around the iPad. 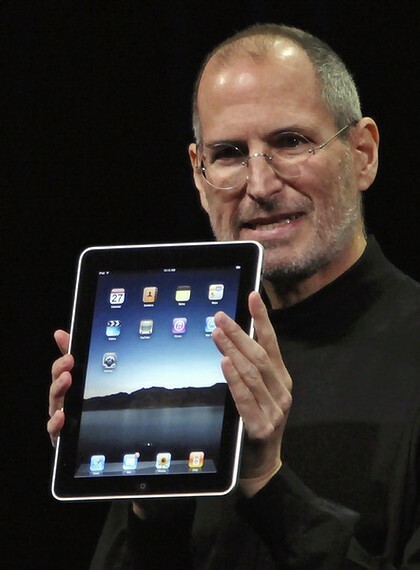 This Friday Apple begins taking pre-orders for the new iPad, which will be available April 3rd. While I really like the device, I’m very aware of the fact that the device is flawed … perfectly flawed. Nowadays $500 buys you a lot of hardware, and since I’m not obsessed by having a particular logo on my hardware, I try to make rational decisions when it comes to spending my cash. I like the iPad, a lot. I like the screen, I like the form-factor, heck, I even like the broad base of apps already available for it from the App Store. But there are aspects of the device that I don’t like, and which I find really hard to overlook. Just because Apple’s given up on DRM for music, don’t think for one moment that it’s given up on DRM. Expect audio books, movies and other stuff to be locked away nice and tight. Basically, the device is one big lock into the Apple ecosystem. Sure, there’ll be jailbreaks I’m sure, but that puts my device in the middle of a tug-of-war between Apple and the jailbreakers. I hate Flash, but web minus Flash is a pretty poor web experience. It would be really cool to be able to store files and on a removable media, such as an SD Card, and swap that data between other iPads and other devices. It would be a good way to bring photos from digital cameras onto the iPad without having to have a PC or Mac as a go-between. Alas, this is not possible. I know that Apple likes to have an iron grip over its hardware, and that it likes the revenue stream it gets from licensing the dock connector to third-parties, but I’d really like a USB port on the iPad because it would offer interoperability between my existing hardware and the iPad. Yes, I still hate the built-in battery. I think I’ll be holding onto my money for a little while … maybe another vendor will come out with a tablet that offers most of the upsides but without so many downsides.